Here is our lovely Olive after dislocating her shoulder, still making her famous Solomon’s Knot scarves. 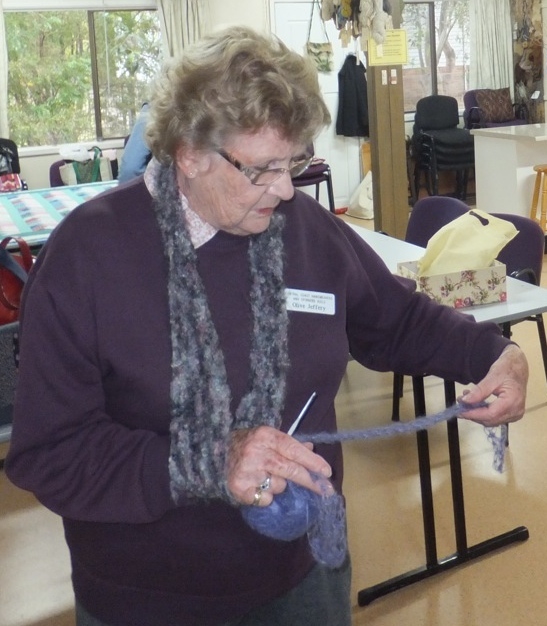 Olive has taught so many to make the scarfs and is preparing now for the next Exhibition. By Lyn.